Published January 28, 2019 Filed under Utah, Utah Main. Total of no comments in the discussion. 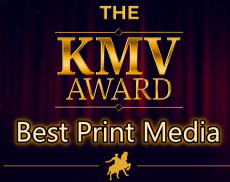 Ed Wallace and Utah Standard News won the KMV Award for most accurate journalism and Utah’s Best Print Media for their outstanding efforts to promote measures that protect voters’ constitutional rights. Wallace is the creator and publisher of UtahStandardNews.com and is a staunch advocate for the return of the proper role of government and a defender of the Bill of Rights. 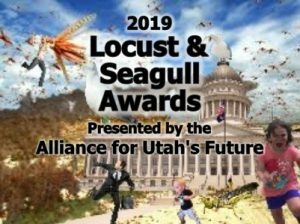 Wallace, along with St. George attorney Larry Meyers (Liberty Law Firm) and Jake Albrecht (Flitch Creative), began publishing USN two years ago and have printed over 26,000 articles and is the only Utah-based media that covers the entire state in addition to reaching all 50 states and over 130 countries. What began as a response to a growing public awareness by Utah’s ultra-rich to maintain their stranglehold on Utah’s citizens has turned into a full scale push-back. Up until recent years, there was little opposition to the power of the deep state. Now, they couldn’t even get their initiative on the ballot last November despite spending millions and lying in their attempt to get citizens to sign their failed initiative. KMV is now the largest gathering of conservative and constitutional policy activists in Utah’s history.